2016 A tumultuous year in the container-shipping industry. 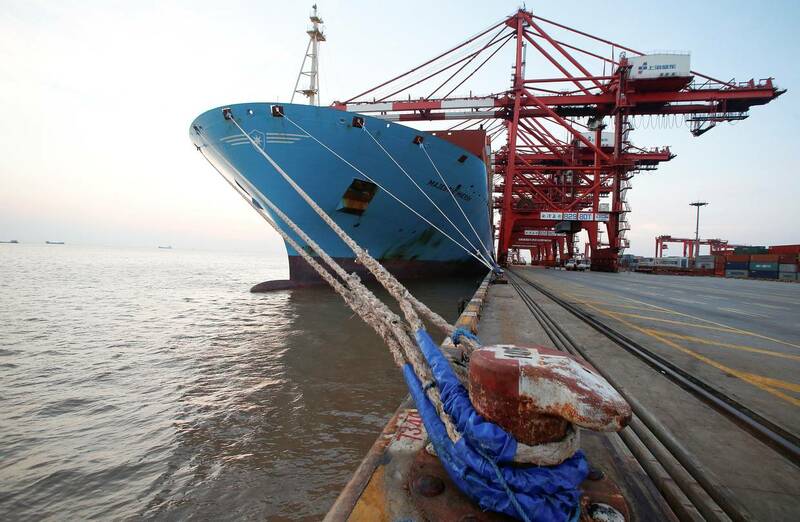 Maersk's Triple-E giant containership Maersk Majestic, at a Chinese port in September. A shift to bigger vessels has been contributing to congestion and delays at ports. A tumultuous year in the container-shipping industry, which included one big operator going under and others bundling together to stay afloat, ended with three major alliances poised to dominate ocean trade for years to come. Container shipping, which moves 95% of all manufactured goods, is estimated by industry executives to be worth $1 trillion a year. Traditionally controlled by sovereign-wealth funds and deep-pocketed individuals, it has been a fragmented industry over the past 30 years, with dozens of operators regularly undercutting each other on price. But overcapacity and sluggish global trade have forced the biggest players to merge or form alliances, allowing them to cut operating costs by hundreds of millions of dollars by sharing ships and port calls. The three major groupings, called 2M, Ocean Alliance and THE Alliance, have cleared most regulatory hurdles over the past two years. 2M, consisting of Denmark’s Maersk Line and Geneva-based Mediterranean Shipping Co.—the world’s two biggest operators in terms of capacity—is already under way, while the other two alliances expect to begin operations in April. One company left out, South Korea’s Hanjin Shipping Co., is shedding ships and other assets after seeking bankruptcy protection in August. According to marine-data providers, the three alliances, which comprise 11 shipping operators, will handle much of the container trade on the Asia-to-Europe and trans-Pacific routes. “The few players left outside will either try to join in, shrink to become regional operators or go belly up,” said Lars Jensen, chief executive of Copenhagen-based SeaIntelligence Consulting, adding the world’s 20 biggest shipping companies are all expected to post a loss for 2016.